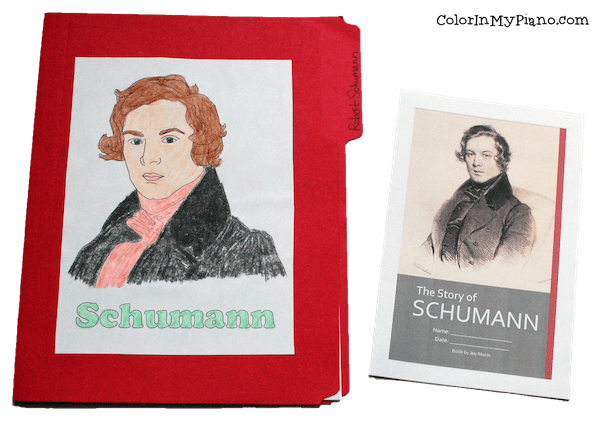 Three new Great Composers Lapbook & Biography sets have been added to the ColorInMyPiano Shop! Today is the day to announce the winners of the Mozart Lapbook & Biography set giveaway! Winners, please check your inbox for an email from me. Congratulations! 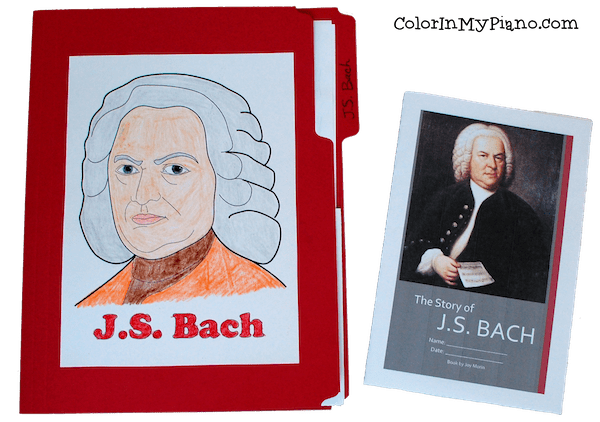 Stay tuned — tomorrow I will be adding three new composer studies to the ColorInMyPiano Shop! Every Wednesday brings Words of Wisdom here at the Color in my Piano blog in the form of a musical quote or joke, intended to bring inspiration or humor to the middle of your week. Have suggestions? Send me a message here. 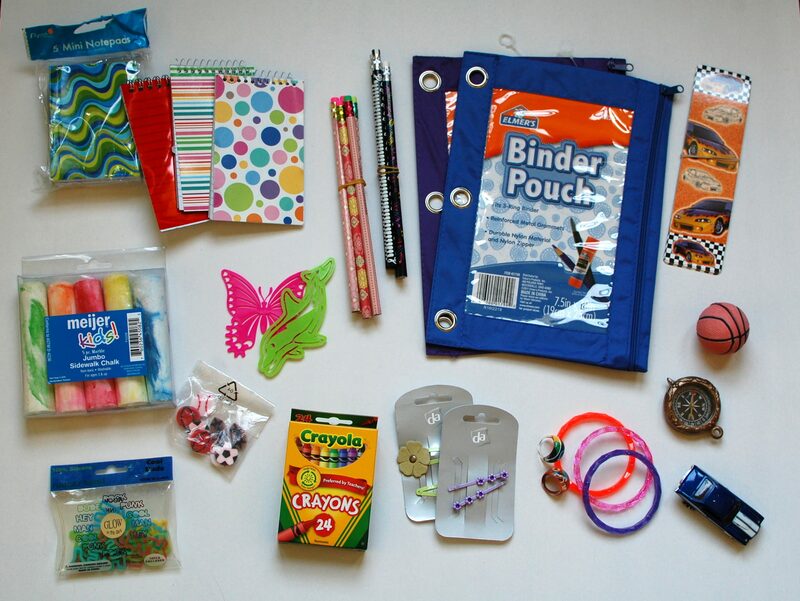 Our previous Forum Q&A was about items students like to see in incentive prize boxes. Thanks for all the responses! What do you do for students who stop and get frustrated at every tiny mistake they make? How can we encourage them and help them to know it is okay to make mistakes every now and then? How can we help them find ways to improve and prevent mistakes without stressing further stressing them out? Please leave your thoughts in the comments section below this post! 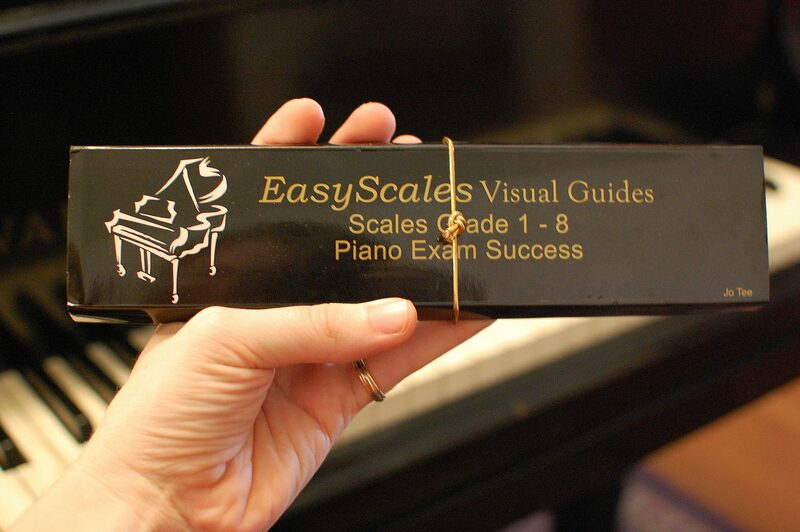 Today, I would like to tell you all about the EasyScales Visual Guides, a patent pending product by Jo Tee! Jo Tee is a creative piano teacher from Singapore. Congrats, Julie! Please check your inbox for an email from me. Thank you to everyone who entered and shared ideas about improving your students’ note identification skills. It was so fun to read all the comments! With my music homeschool class, we have been studying the instruments of the orchestra. We started this endeaver a long time ago, starting with completing the Musical Instruments Workbook. We have also used Robert Levine’s book: The Story of the Orchestra, and frequently played this review game for remembering the names/families of the instruments. When I found this “stand-up symphony” download from the St. Louis Symphony website, I knew this would be another great way to review the instruments — as well to as learn where the members of the orchestra sit onstage. Remember the lapbooks that I blogged about from my recent music history camp? I finally have Bach and Mozart listed in the shop! I’ve been using these composer studies with my weekly homeschool music history class too. This app is designed for students to practice identifying notes on the staff and finding the corresponding piano keys. Noteworks features an adorable little “Munchy” who eats the notes when the student identifies the notes correctly!